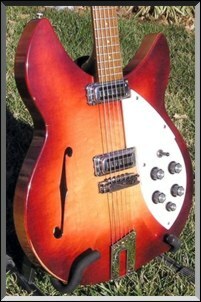 Mystery 1964 Rickenbacker 330S/Model 1997 Rose Morris? This 1964 RIC surfaced recently in Oklahoma City. I happened to be in one of my favorite local guitar shops when one of the “regulars” came in with a distinctive silver rectangular case that could only contain a certain kind of guitar that we all love! He had just picked it up in a pawn shop and wanted to re-sell it. When he pulled it out of the case, it immediately caught my attention because of the “F” hole and that certain look of honest playing wear that said it was not a re-issue. It also sounded incredible acoustically, even with old strings and I knew it would be unbelievable plugged in. He made his deal with the shop manager and I left, knowing I was going to have to come back and see where they priced this one! 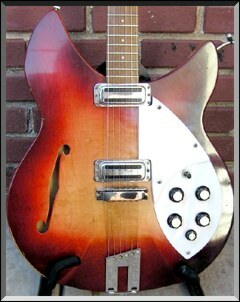 When I returned, I was puzzled to see it tagged as a 1964 Rickenbacker 345 since it only has two pickups and no vibrato tailpiece! The guys at the shop were not sure what it was, but inside the electronics cavity is hand-written “345 G”! The best guess I can make is that the factory had this body scheduled to be built as a 345, but changed it to a 330S/1997 mid-production. There was obviously never a third pickup installed on the guitar and there is absolutely no indication that there was ever a vibrato tailpiece on the guitar. It appears to 100% original with the trapeze tailpiece. Some friends, who are much more experienced with Rics than I am, differ in opinion as to whether it is a 330S or a Rose Morris guitar. 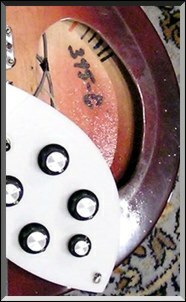 Bjorn contacted RIC about the serial number which indicates a date of September, 1964, but they claimed to have no record of it. 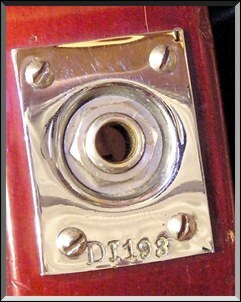 The POT codes indicate that they were made by CTS in early June of 1964, which is a perfect match for a September 1964 Serial number (DI193). The wiring is cloth covered and it has the big blue capacitors which are correct for that era. 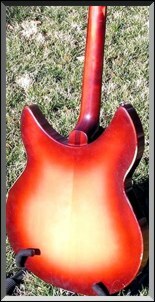 Whatever it is – It is a great sounding and playing ’64 Rickenbacker! Enjoy the photos!